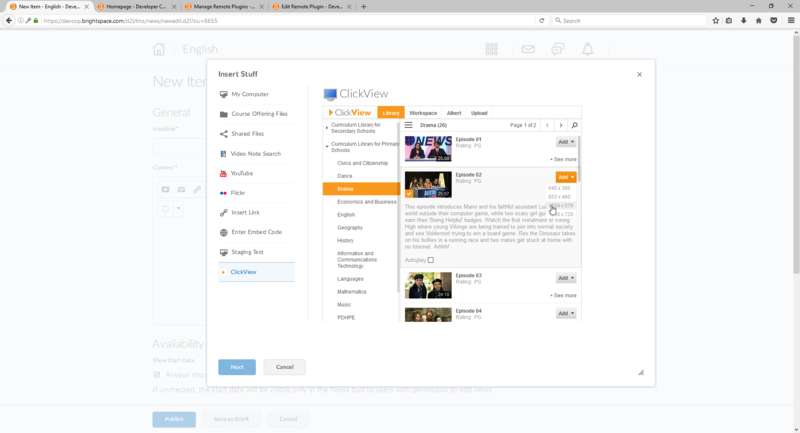 ClickView is now supported on the Brightspace | D2L platform! 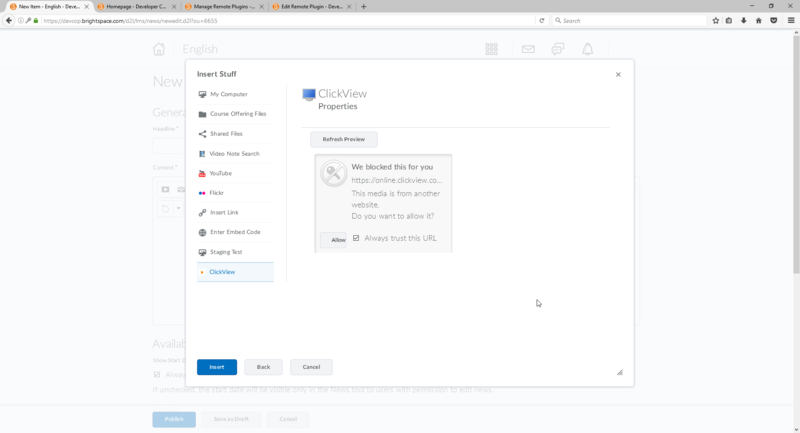 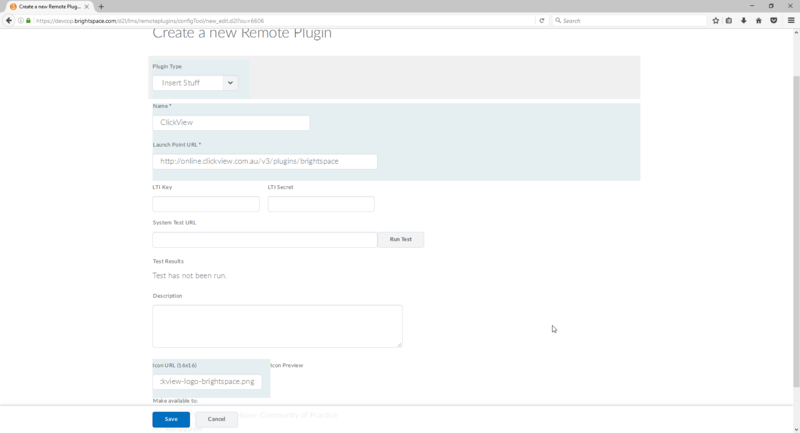 This document will provide instructions on how to get the ClickView integration working on the platform so you can start embedding videos into your lessons. 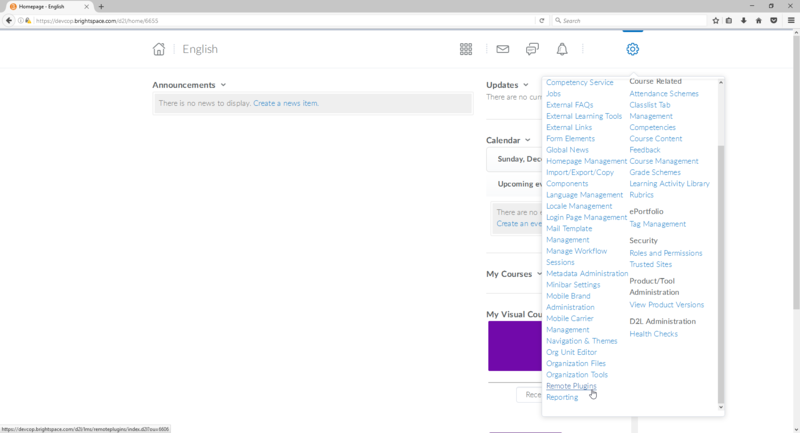 1) Navigate to your Brightspace portal and login as the administrator. 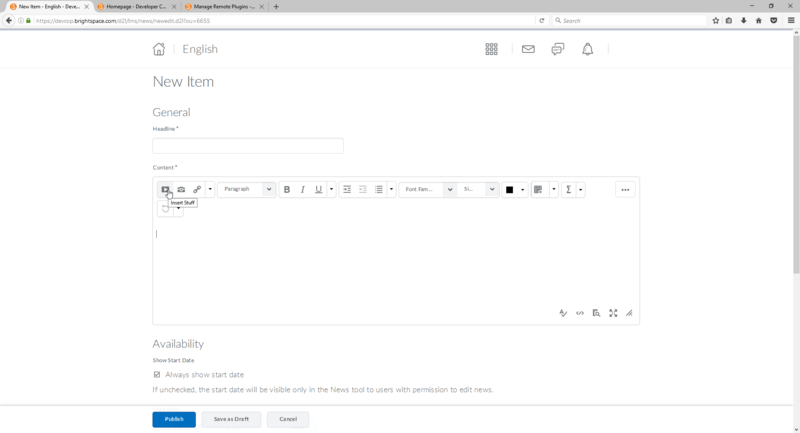 You should see a cog appear at the top right of the screen which gives you access to administrative functionality. 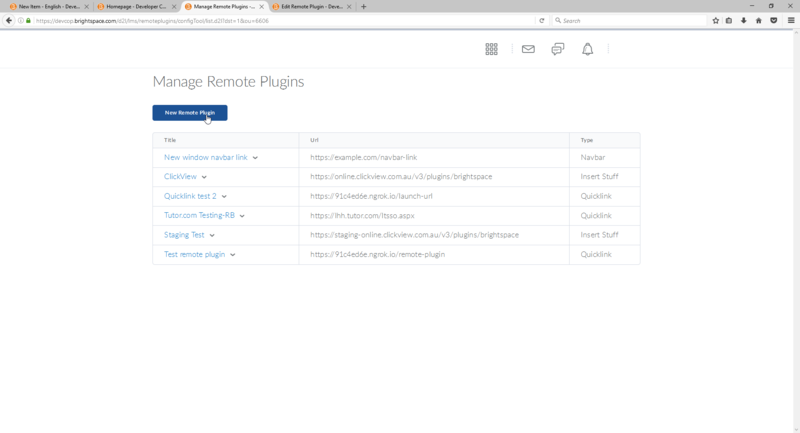 5) Finally, click the Save button to complete the configuration of the plugin. 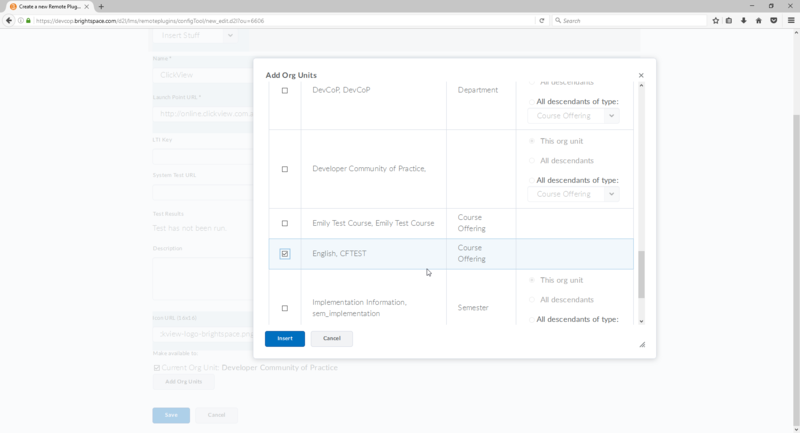 You can then continue to add content or Publish the page for student use.